How many times in your life have you said those three words to a shop assistant? So when surveys like this 2016 Remarketing Report cite “just looking” as the number one reason why buyers abandon their cart, can we REALLY trust this 34% response? Or are customers just saying “don’t hassle me” to get the survey done? Of course, some of those cart abandoners simply won’t have been ready to buy. Big-ticket items – holidays, cars, Apple products – understandably carry lengthy purchase decisions, sometimes taking an average 45 days or more. But what about your products or services? 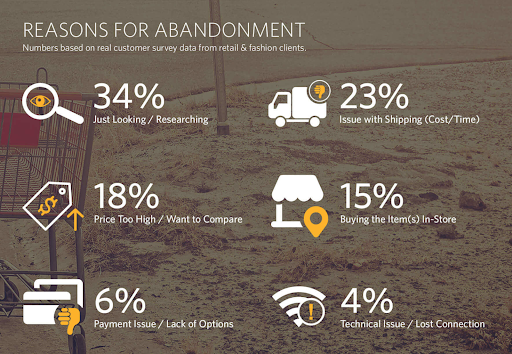 What’s actually troubling your potential customers when they abandon their cart? All six options look reasonable enough, don’t they? But ‘reasonable’ or ‘logical’ decisions aren’t the full picture. Although we humans want to portray ourselves as rational decision-makers, research shows that emotion always wins over logic. We must therefore always bear in mind customers’ emotional motivation for abandoning their purchase. So, to help you in this fight for the sales you deserve, here are the nine of the strongest emotions your customer might feel before hitting ‘Buy it Now’, and how you can counter them through strategy, design, and persuasive copywriting. Of all our emotions, fear is the strongest motivator. Leveraged to its full potential, fear drives entire industries. Without it, we wouldn’t feel the need to buy insurance, firearms, or hire health and safety experts. When your potential customer adds a product to their cart and abandons it minutes later, fear is certainly playing its part. Thankfully, its antidote is instilling the prospect with confidence. Confidence is increased by providing sufficient detail and sufficient proof. If you have the option to add more detailed product specifications, extra product photos or a video demonstration, do it. 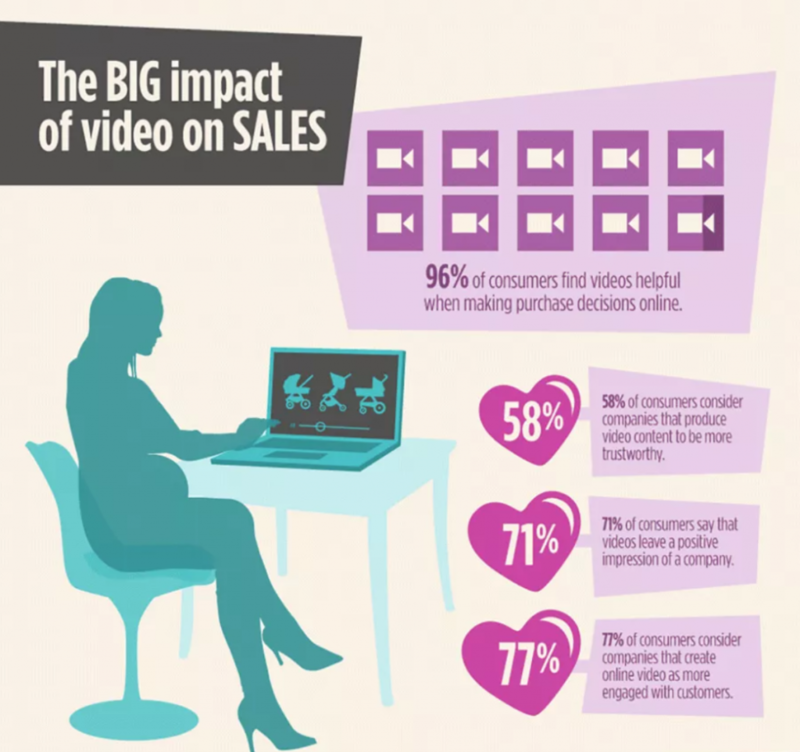 In fact, 73% of adult Americans are more likely to purchase a product or service after watching a video. Beyond video, don’t be worried about writing more about your product. If your prospect is hooked on the idea of buying a product they’ve fallen in love with, they won’t be able to read enough about it. Write in passionate detail. Answer any possible questions your customer might have. And most importantly, help them to imagine the difference your product would make to their life. Proof comes in many forms. But first-time buyers are especially in need of proof generated from OUTSIDE your business. You’ll already know the power of testimonials. 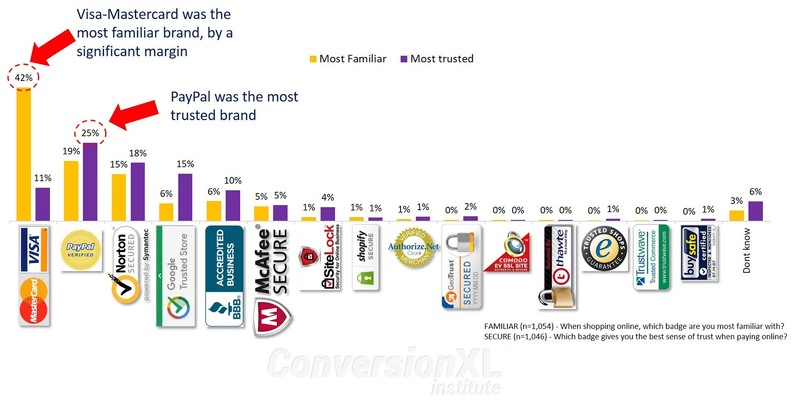 88% of consumers trusted them in 2014, and they still work in 2018. Because the unedited praise of a previous customer reassures your prospect. It tells them they’ll have a similarly positive experience with your product or service. It comforts them with the knowledge that there’ll be no buyers remorse and confirms to them they need not fear clicking the buy now button. Scatter testimonials widely, ensuring the strongest are highly visible and closest to any conversion points (ie. places where customer interaction is required – including next to payment forms). For additional advice on how to source the best testimonials from your customers, I highly recommend Sean D’Souza’s list of testimonial questions on Copyblogger. Most vendors are wise enough to have a returns policy. But the majority make the mistake of trying to hide it to avoid too many returns. It’s a fact of commercial life: However good your product is, however small your small print, some customers WILL return their purchase or ask for a refund. Guarantees help to reduce the fear of risk. But vendors tend to offer only common promises, like 30- or 60-day money back guarantees. Why not stand out from the crowd by incorporating an outrageously generous returns policy or guarantee as part of your product offer? But what effect does it have in the customer’s mind? They no longer feel they are undertaking any risk, and therefore they no longer fear it. You’re not only displaying supreme confidence in the quality of your product, but you’re providing the user with a safety net just in case. Such a guarantee will do wonders for your conversion rate and reduce the number of customers who abandon their cart because of this fear. We all have embarrassing stories we’d rather not share. And often those have happened when dealing with online vendors. For example, on two occasions I’ve been scammed when buying something from eBay. Thankfully neither turned out to be too costly. But the fear it could happen again is still in the back of my mind. And I guarantee there’s a similar fear in the mind of your prospect. One time-tested way to counter this fear is to use trust seals. These small badges may not look like much. And most customers may not even notice most of them. But they help to remove one more reason why a customer might abandon their cart. 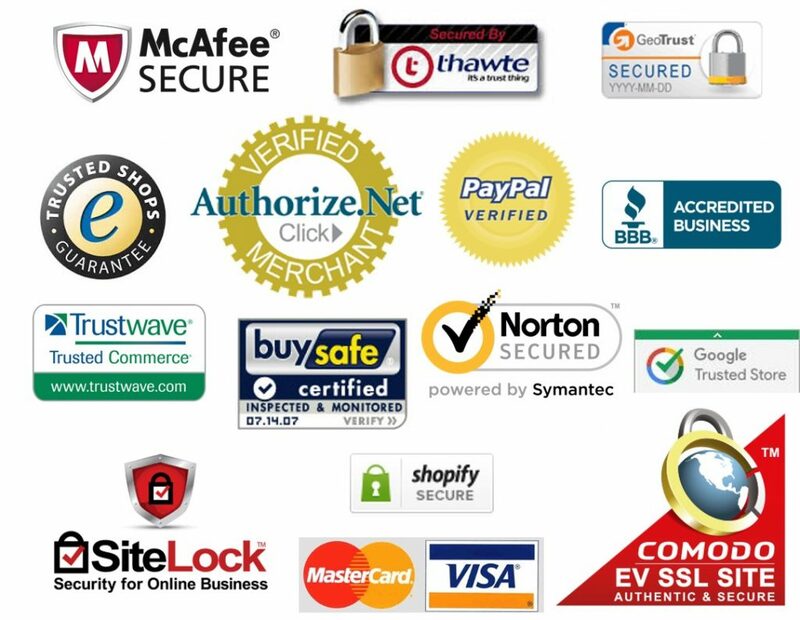 A study conducted by CXL found that Visa, Mastercard, PayPal, Norton, and Google were the most trusted seals when paying online, with 25% of the 2,100 survey participants voting for Norton’s antivirus seal. You can even take advantage of generational and gender differences to use the seals most suited to your market. For the sake of a few lines of code added to the end of your payment form, these seals still work to reduce the fear of embarrassment. 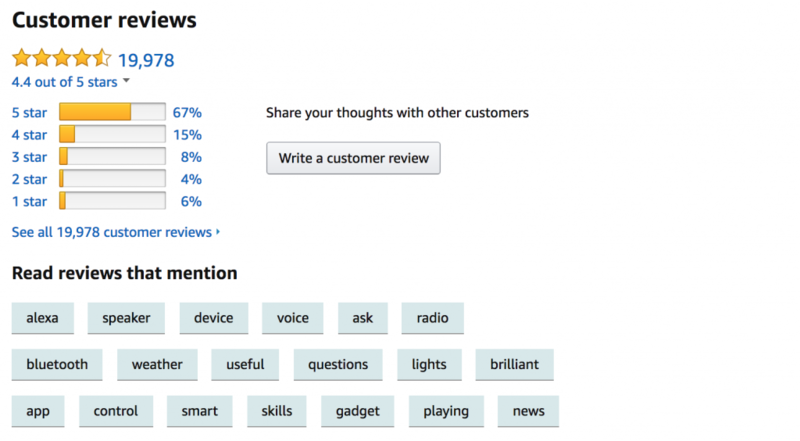 The other tool to use is again testimonials or reviews. This time, they need not be product-specific, but simply communicate great customer service. For customers to know that they are dealing with a bona fide vendor at the point of purchase means they won’t fear the embarrassment of being scammed. With so much product choice out there, customers are tempted to take their time to shop around in search for the best deal. If left untreated, such a temptation will often result in hesitation before pressing the ‘Pay’ button and increase your cart abandonment rate. To counter this hesitation, you may need to rethink your pricing and sales strategy. For example, you might not be able to afford to be the cheapest vendor in your market. But by creating high perceived value through design and expected and unexpected discounts, you will increase the customer confidence that they are getting a great deal. Analyse your product margins and agree deals with couriers to be able to offer free shipping. Reconsider your pricing strategy compared to your competitors. For example, 100 sales with $10 profit is better than 20 sales with a $20 profit. While discount codes work as a powerful incentive to buy, nothing creates the feeling of a missed opportunity more than an empty discount code box. Presenting the option reveals that – for those unlucky customers without a discount code – they can’t purchase your product at a lower cost. Worst of all, it may even cause some potential customers to navigate away from your site in search for a promotional code. Limit the option to add a coupon code ONLY when running a specific campaign. 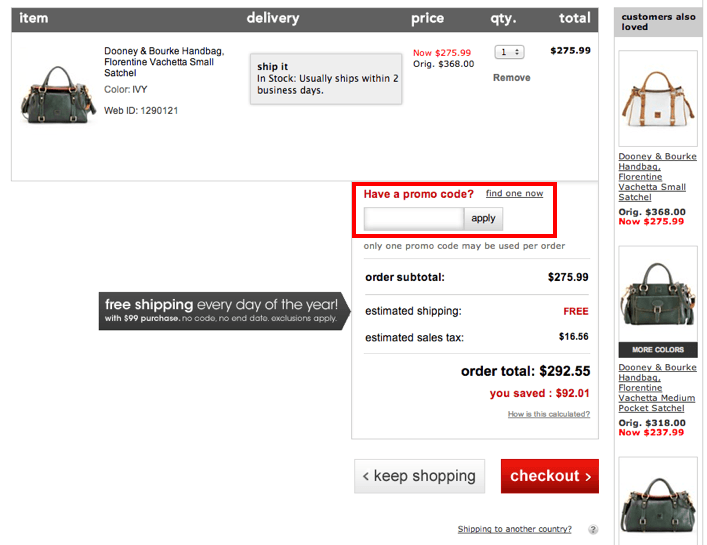 Add a link to encourage customers to “Find a code now!” Promotions then appear in a separate pop-up window. Hide the option to add a code behind some subtle anchor text. Encourage easy access and widespread use of coupon codes (through exit pop-ups, newsletter sign-ups, social media interactions, etc), so that customers can almost always apply one if they wish. The last option is the most powerful. It both incentivizes buyers and can help you achieve other marketing goals. (Of course, if the majority of customers can readily apply a 10% discount to their basket, you’ll want to raise your by that amount. Then if you want to run a specific, limited access campaign, simply offer 20% code instead. “I’m not 100% sure about buying this. I’ll sleep on it and think about it again tomorrow. The result? An abandoned cart. Every potential customer is prone to procrastination. It won’t surprise you that the remedy for purchase procrastination is urgency. Limited Availability ‘Limited edition’ products are underpinned on the idea of limited availability. If you’ve ever bought from Amazon, you’ll probably have been subconsciously affected by this text in red: “Only 2 left in stock.” Such a message adds a real sense of urgency to avoid any purchase delay. Limited Time Discounts or Premiums This again could be a rolling discount code that expires soon. Or perhaps an additional bundled item with a high perceived value but bought in bulk at a low cost. It’s safe to say that if a visitor to your site adds a product to the cart, they are a hot prospect. They’re interested enough to find your site, select your product and even add it to their cart. If at any point a prospect is given reason to utter this syllable, the deal is broken and you’ll have an abandoned cart. So, it’s vital to scrutinize and optimize both your sales message and checkout process. By that I don’t just mean the number of clicks required before a customer can sign on the dotted line – although this is important. From start to finish, your product presentation to your site design and ease of use must be compelling. Do you present your product with more than enough detail to satisfy even the most scrupulous customer? High-res photos, product specifications, highlighted benefits, customer testimonials etc. Does your sales copy ooze passion and excitement? It should be bold and daring. Product descriptions should feature language that suits your market – romantic, poetic, colorful, macho. Ultimately, you want to paint a picture for your prospect through words and other media which gives them a clear idea of what life will be like in ownership of your product. Confusion can also negatively impact your customer’s decisions. Although it might sound simple, this problem can occur more often than we realise, especially when multiple channels, multiple customer journeys, and multiple funnels merge towards a single checkout page. As Hubspot notes, only through consistency will you streamline your conversion path. 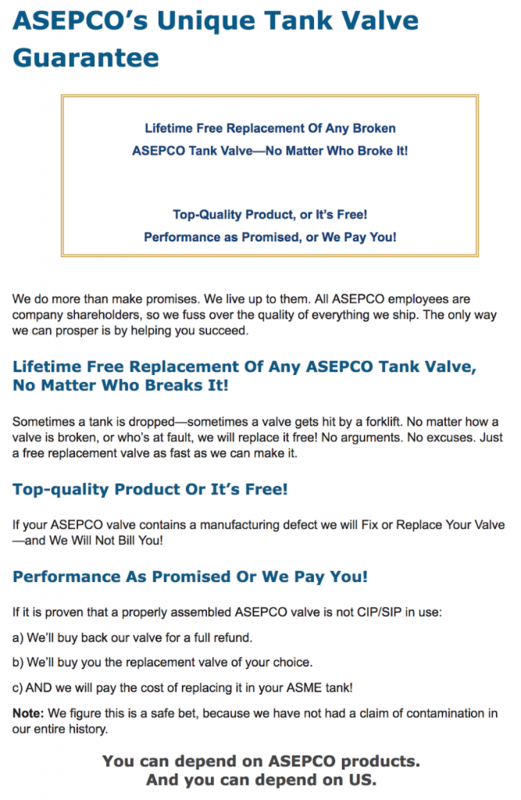 True story: I recently purchased a product online and was tempted also to buy the upsell on the thank you page. However, when I clicked that purchase, I received no confirmation message – not even to say my card had been charged. I was left feeling stranded, confused and doubtful – the worst feelings a customer can experience at the point of sale. Provide enough information to enable confident purchase decisions – make sure any conversion outcomes are transparent and clearly communicated. Spell out how your product or service is different to competitor offerings – well-researched customers are looking for a reason to buy from you. Triple check your funnel for mixed messages and multiple choices – keep to only one conversion goal for your landing pages, sales pages, opt-ins. Create a seamless experience at every step in the customer journey – CTAs and headlines should maintain the same context, as should the design. Keep your design simple. For example, remember that white space is important, and use one contrasting color to draw attention to the next action the user should take. When in doubt, conduct more split tests – your best guess will never be as good a real-world insight. Not only is it good practice from a sales perspective to summarise at regular intervals what your customer is buying, this repetition of key features and benefits throughout the checkout process helps affirm your customers’ resolve. Purchase decisions sometimes require multiple decision makers. Although more often seen in B2B markets, B2C customers also feel obligated to others during holiday seasons. Anytime that a consumer is buying gifts, additional consent may be required – especially at higher price points. Add the option to the cart “Save for Later”. Include links to make your cart easily shareable. Capture your prospect’s email address to enable you to send follow up emails. 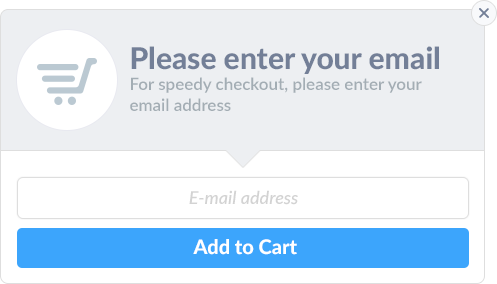 To help with this, Recart offers an Add to Cart Popup which captures an email address when ‘Add to Cart’ is clicked. This means that, even if a customer has no account when shopping on your site, their email address is saved to remind and encourage them to return to their cart – hopefully now with absent gatekeepers’ consent. Despite your best efforts to create a simple and clear customer journey, prospects will still have questions and unfulfilled needs at the point of purchase. And as today’s customers become smarter, they demand a higher quality experience. You probably already use a chatbot on your store, but are you really taking advantage of this new technology? After all, this Walker study predicts that customer experience will overtake price and product as a key brand differentiators by 2020. Recart can help rescue abandoned carts by leveraging Facebook Messenger Marketing – all the while increasing customer experience and interaction. If a user connects their Facebook Messenger with Recart (through the popup mentioned above), you can then send automated messages to remind the prospect of their abandoned cart. And because these messages are opened between 80 to 90% of the time, there’s a high chance to encourage a prospect to return to their cart. What if Cart Abandoners REALLY were ‘Just Looking’? Despite any secret emotional objections to making a purchase decision, some cart abandoners among the 34% will have been ‘just looking’. But by adequately preparing for and pre-empting these underlying objections, you’ll dramatically reduce the number of cart abandoners (far below the eCommerce average of 76.5%) and increase your bottom line. The key is to know your market. Understand your prospects’ motivations, pain points and frame of mind when considering a purchase. Know your market SO well that you’re able to write a page in their diary on the day they decide to buy your product. Only then will you be fully able to tackle their emotional objections and woo them with your sales pitch in the most delightful way possible. David Durbin is a freelance copywriter who specialises in using deep market research to craft more persuasive sales communications. His seven years' experience spans tech start-ups to B2B wholesalers. You can connect with him via his website: daviddurbin.com.